Jacob Fichman (1881-1958) was born in Belz, Bessarabia. He left home at the age of fourteen to travel to Odessa, Warsaw and Vilnius. Fichman settled in Palestine in 1912 but visited Europe several times to carry out editorial assignments. He taught, published textbooks and worked at several publishing houses. He was also on the staff of a Warsaw Hebrew newspaper. 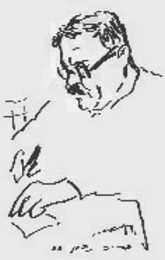 In Palestine he edited several journals, and from 1936 to 1942 he was editor of Moznaim, the journal of the Hebrew Writers Association. His first book of poems was published in Warsaw in 1911, and his first collection of essays in Odessa in 1919. Belonging to a transitional generation, his attitude towards the new landscape is basically secular, defining him as a forerunner of the changes in Hebrew poetry, some of which he witnessed in his own lifetime. 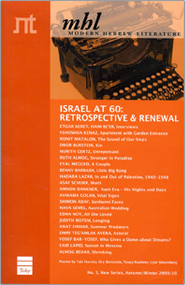 Fichman received the Aharonovich Prize (1942), the Bialik Prize twice (1945; 1953), the Ussishkin Prize (1947), the Ramat Gan Prize (1956) and the Israel Prize for Literature (1957).